When you’re planning a family trip, most parents, including me, don’t have countless hours to waste on having to wade through even a spec of the millions of websites on the Internet to find what they need. Trying to find seriously useful information that’s trustworthy, isn’t actually that easy to come by. So to help make it easier for you, we have put together a list of all of the websites we use and trust to research and book our travels. Just so you know, we are affiliates for Booking.com, Rentalcars.com, and World Nomad Insurance, which means if you buy something after clicking on one of those links, then at no cost to you, I receive a small commission. Why do I do this? Because I believe these companies offer the best service and products around and they are who I use all the time. The small commissions I receive will enable me to continue helping you save time, money and sanity organising your family trip. Thanks for supporting Trip Chiefs. 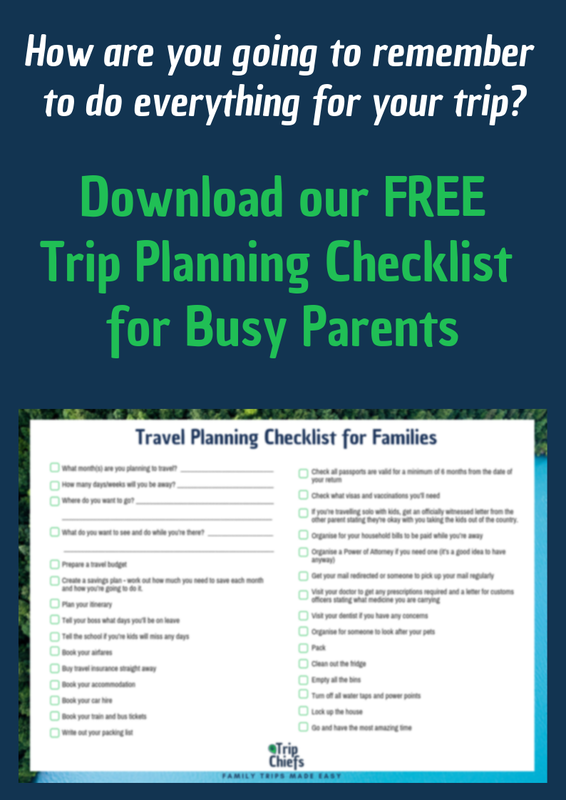 Here at Trip Chiefs, I teach busy parents, just like you, how to travel more and make it easier to take amazing trips with your kids. 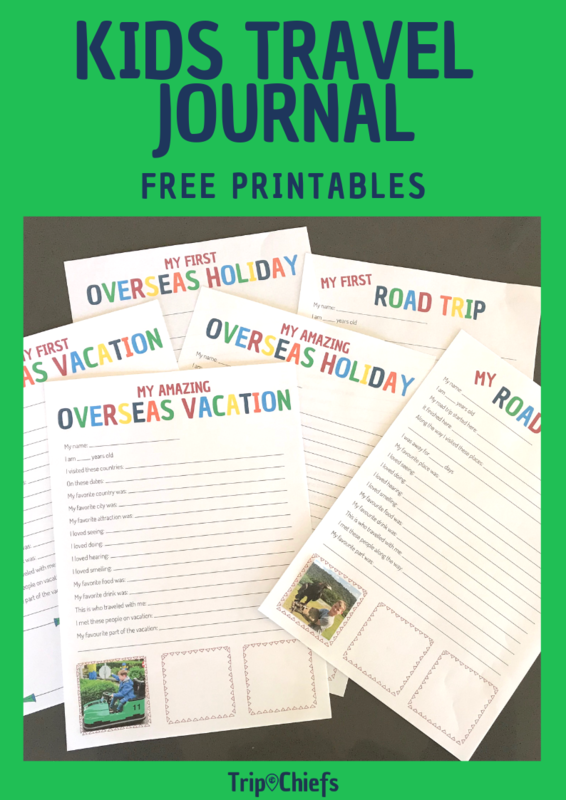 Let me show you family trips made easy! Join the waitlist today for our 6-week online course, so you don’t miss out when I open for enrolments. Save yourself time and frustration of trawling through the Internet and download our handy cheatsheet on the best travel websites for destination information (just for families)! Travel with kids doesn’t need to be difficult. When you’ve got the right tools, knowledge and helpful community, it’ll make planning that next trip so much easier. Join our group of like-minded parents and discover how much easier travel can be when we all help each other out. There are so many travels apps out there that it can be hard to know which are the must-have travel apps for family trips and which will just clog up your phone and waste your time. You’ll find our tailored list of Must-have Travel Apps for Families here. Weather Spark and Accu Weather are both brilliant sites with lots of information on the typical weather by month in hundreds of places all over the world. It also gives you sunrise and sunset, average rain and humidity levels which is just what you need when planning a trip. It’s really simple to use which makes it even better in our eyes. It’s really easy to get overwhelmed when you’re planning for a trip, especially if it’s a big one. I love to set up boards on Pinterest so I can organise all the wonderful places we want to visit, as well as tips and resources for when we’ll need it. Take a look at Trip Chiefs Pinterest boards and start following to get hold of great information on destinations and planning. Trying to budget for your next overseas trip is hard when you don’t know how much things are going to cost. Numbeo is an amazing free tool which will tell you how much things cost in your desired destination at restaurants, supermarkets, clothing stores, and transport. Airbnb houses, apartments and villas are fantastic for family travel. We use Airbnb as a preference when we travel, as renting an entire home or apartment save us heaps of money on food as we can prepare our own meals, plus gives us more space to enjoy our time away, so we don’t have to whisper every night because the kids are asleep in the bed next to you. Do a search for an entire house in the town you want to stay and make sure you read everything – the reviews, the amenities, cancellation policy, and house rules. Look carefully at ALL the photos to make sure it meets your expectations. If you are yet to try out Airbnb, we’ve got a $40AUD credit for you to use on your first stay. We love Booking.com for booking hotel and apartment accommodation around the world as it saves us time searching for a place to stay, has seriously extensive reviews, and is easy to use. I do also love that it offers free cancellation for most properties for when plans change as they often do. You can search by price, star rating, map, plus more. Check the latest accommodation prices for your next trip. Have you considered staying at a hostel? If you’re on a tight budget, hostels can provide you with an affordable place to stay so you can keep travelling longer. Hostelworld makes choosing a hostel that will meet the needs of your family, so much easier. Listing 33,000 hostels in 170 countries and backed by millions of traveller reviews, Hostelworld provides a lot of great options for the budget traveller. See if there is a hostel that suits you. 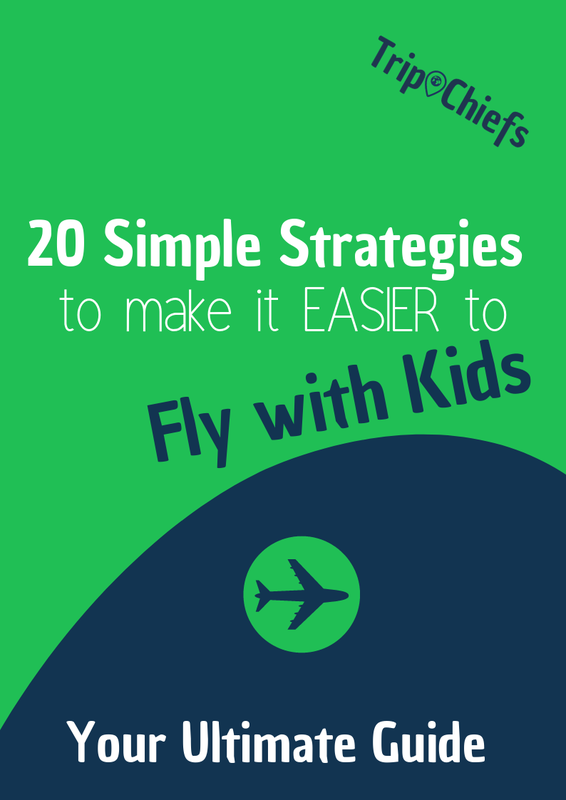 Before you even start booking your flights, the best thing you can do is to download my FREE 20 Simple Strategies to Flying with Kids which will help you decide what time of day to fly, where to sit, how to entertain and feed your kids, plus so very much more. Our first port of call when we’re looking to fly is Skyscanner. Its free flight search engine helps provide you with a whole host of flight options from different providers. You can filter your search by airline, duration, or number of stops. You can set up a price alert to track prices for your route, or view prices across a whole month or year to see when the cheapest times are to fly. Word of caution: Be careful who you book with. Not everyone will do the right thing by you. Before you choose where you’re going to sit in the plane or book a flight on a plane that flies for more than a few hours, check out Seat Guru and take a peak inside your aircraft to see what will make you the most comfortable. Renting a car when you’re travelling with kids is brilliant, as it lets you travel at your own pace, plus lets you detour to those lesser known sights. Renting a car however isn’t always the easiest process. We use rentalcars.com to book our hire cars as they make it so quick and easy to find the best deals and there’s no hidden stuff. It’s the world’s biggest car rental service, searching over 800 companies in 163 countries to get you the best deal. Check out the latest car rental prices at your destination. Whether you need to work out driving distances, or catch a bus, train or ferry, the free Rome2Rio is the place to start. This comprehensive trip planner helps you get from A to B by giving you all the available options and costs. They even have an app that you can use for when you’re on the go. We use Rome2Rio whenever we travel. If you’re travelling anywhere in the world by train, The Man in Seat 61 is for you. It will tell you everything from the rail networks, ticketing, times and other seriously helpful information. This site started out as a hobby for the founder Mark Smith and has grown to be probably the most comprehensive rail site out there. There is one thing we never leave the country without and that is travel insurance. Yes it’s an added cost but imagine how much it will cost if someone gets sick or has an accident, or if something goes terribly wrong at home. We use World Nomads to book our travel insurance and have found them to be the best, as does the likes of Lonely Planet and National Geographic. World Nomads is available to people from 140 countries, and you can buy and claim online. It’s designed for adventurous travellers with cover for overseas medical, evacuation, baggage and a range of adventure sports and activities. You can also opt for it to cover your rental car excess as we do. Check out the benefits and current prices. When you travel, it pays to be prepared and to know what health precautions you need to take. Nothing beats a trip to your local GP but it’s also a good idea to do some research on what vaccinations and medications you may require, if there are any outbreaks you may need to consider, and any food and water precautions before you go to the Doctor. The website I use is the USA’s Centres for Disease Control and Prevention. I’ve found this to be the most comprehensive and easy to use. We also never travel without a first-aid kit and we recommend you do the same. How big the first-aid kit you take will depend on where you’re going, how remote it is, and how long for. Here’s our family first-aid kit list so you can put together one yourself. It’s so easy and essential.